Christmas is a nationally regarded holiday that is celebrated around the world. 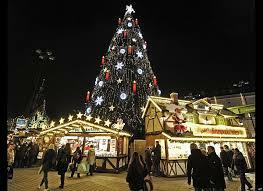 The date for Christmas is the 25th of December, and Christmas is marked as the highest grossing holiday in the world. Christmas as we celebrated it today, is a Victorian invention that gained popularity after the 1860’s. Christmas is the product of centuries of religious and secular traditions taken from cultures around the world. Christmas is widely accepted as date, most Christians believe Jesus Christ was born. However, the Bible never mentions the 25th of December, nor any day for the birth of Jesus Christ. In recent years, it has been agreed upon by historians that the real date of Jesus’ birth would have to be closer to Easter than Christmas. Due to such a diverse amount of cultures that believe in Christmas, there are countless Christmas customs around the world. 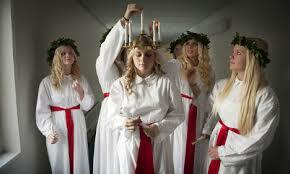 Lucia- Sweden: In Sweden, Denmark, and Finland, St. Lucia is honored every year on the 13th of December. This date is considered the first day of the Christmas season in these countries. According to tradition, the oldest daughter in a family will wake early, dress in a white dress, red sash, and a crown made from twigs and lighted candles, and wake the rest of the family. The family would then eat their meals by candlelight. There are parades and families carry torches around the parade. As the night comes to a close, the torches were used to start a large community bonfire. 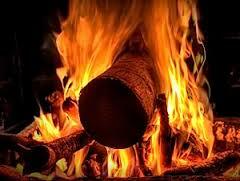 The Yule Log- Norway: Norway is known for being the birthplace of the Yule log, a symbol of the Christmas season. The Yule log was first used by the ancient Norse people in their celebration of the returning of the sun during the winter solstice. They called it a Yule log, because Yule means wheel and they regarded the sun as a giant fire wheel that rolled to and from the earth. Christmas Trees- Germany: Germans have been decorating evergreen trees for centuries. It was one of the first countries to display a decorated Christmas tree and their tradition of decorating trees goes back to the 17th Christmas trees found fame through Johann Wolfgang von Goethe’s book The Suffering of Young Werther, where the author wrote passages detailing a Christmas tree he had observed while in Germany. German immigrants were the ones that brought Christmas trees to America, in the 1820’s. The Christmas tree tradition was introduced to England, by Prince Albert, the husband of Queen Victoria. Poinsettias– Mexico: Poinsettias are a beautiful red and green plant that was brought from Mexico to the Americas. 1828, Joel R. Poinsett, the American minster to Mexico, is credited for being the first person to bring the plants into the United States. The red and green colors fit perfectly with the theme of Christmas as Christmas’ unofficial colors are red and green. The plants were named poinsettias in honor of Joel R. Poinsett. They began cultivating the Christmas flower in 1830. 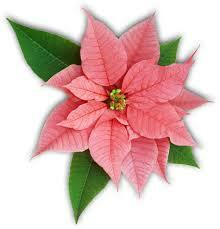 By 1900, the poinsettia was a staple for Christmas. Picnic at the Beach-Australia: In Australia, Christmas comes in the middle of their summer and it is not unusual for summer days to exceed 100 degrees Fahrenheit or 38 degrees Celsius. 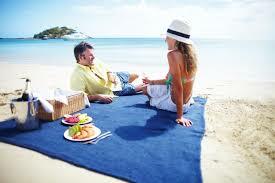 Families in Australia typically head to the beach during Christmas and have picnics and barbecues. The traditional Christmas is spent with a family gathering around a hot meal of seafood, ham, turkey, or pork, and exchanging gifts.